And we want you guys to love Lola, too! I blogged a couple of weeks ago about my search for plus-size activewear that was both functional and cute, and in that post, I shared my love of LolaGettsActive. You guys, the clothes at LolaGettsActive are AWESOME. Seriously. Just look. I have the middle one in hot pink and I’m in love with it! And there’s more to the Lola Getts site than just shopping! They’ve got a great blog full of inspirational stories, and they just added a weekly post featuring weight loss bloggers. Last week, the featured Jennifer Swaford from It Sux to be Fat, who was the first weight loss blogger I ever followed. And you can tell them people you’d like to see featured! How cool is that? And you know what’s even cooler? LolaGetts reached out to us here at Scoot a Doot, and offered to partner with us for a giveaway. They’ve offered to gift our giveaway winner with a $100 Gift Card to shop on their site. So, here’s the deal. Are you looking for great plus-sized activewear? 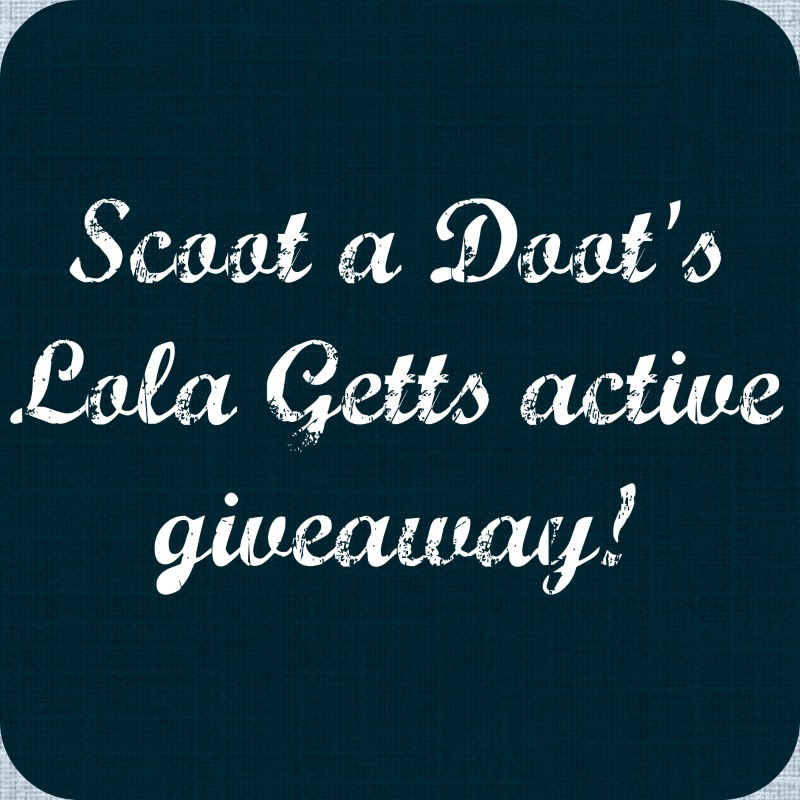 Then, scoot your doot on over to Facebook and hit the Like button on Lola Getts. (And if you want to hit our like button, too, we certainly wouldn’t object!) Then, hit up the Lola website and sign up for their newsletter. While you’re over there, don’t forget to follow Lola on Twitter and Instagram. When you’re done with all that, enter the giveaway using the Rafflecopter button below, and BOOM, you could be the proud winner a $100 Gift Card which will get you some awesome LolaGetts swag! This contest will run from today through next Monday, 2/17, and we’ll announce the randomly selected winner on 2/18. And, if you just can’t wait, they’ve also given us a 40% off coupon code for their site. The coupon code is Scoot40 and it’s good until 2/28. This entry was posted in Giveaways and tagged curvy, giveaway, lola getts. Bookmark the permalink. Always on the lookout for workout gear that is flattering! I am always on the hunt for good Plus Sized active wear, thanks for sharing! I have never heard of them! I’ve never heard of them, but the clothes look really awesome! Would love to win and share with my Princess! I really, really, really need new work out clothes! Love it, girls! Keep the giveaways going! I LOVE this! As someone who is in the middle of their fitness journey finding activewear clothes that fit is hard! I love when companies make cute clothes for all sizes. Love this…making a wish list!